Born in 1957. Lawyer. Doctor on Juridical Sciences. 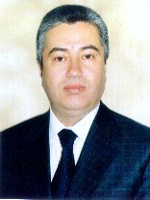 Appointed member of the Central Election Commission by Decision of the Milli Majlis of the Republic of Azerbaijan. Elected Member of the Commission who represents the political party, the deputies of which constitute majority in the Milli Majlis and nominates his candidacy.